Make Valentine Day special cooking the Valentine Special Double Chocolate Brownie and have a romantic time with your loved one. This easy to make brownie recipe is a perfect way to make the Valentine Day memorable with its sweet taste and flavor. · Preheat the oven at 325 degree Celsius. · Beat the butter, sugar and vanilla. · Mix in eggs and beat to make it fluffy. · Now, blend in cocoa powder and flour. · Then, add chocolate chips and mix well. 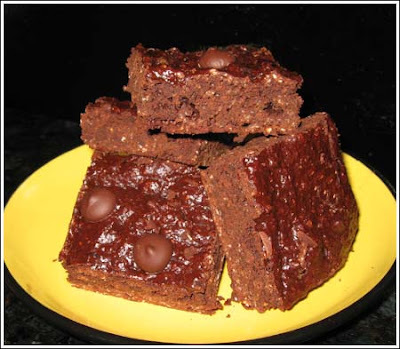 · Pour the mixture in a greased 8x8 inch pan and bake for 30 minutes.